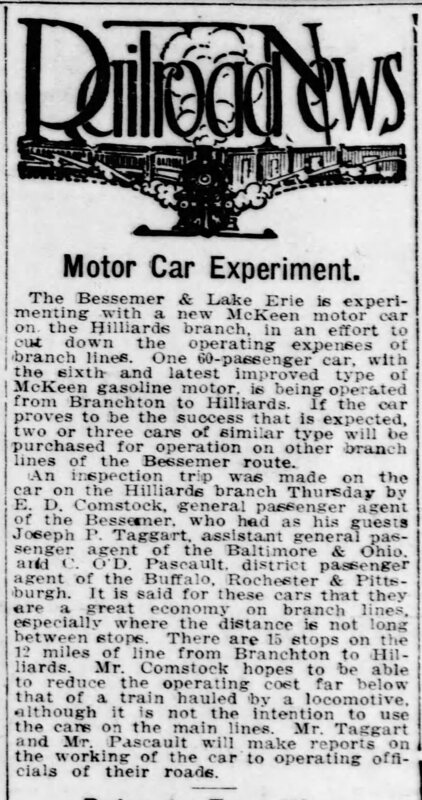 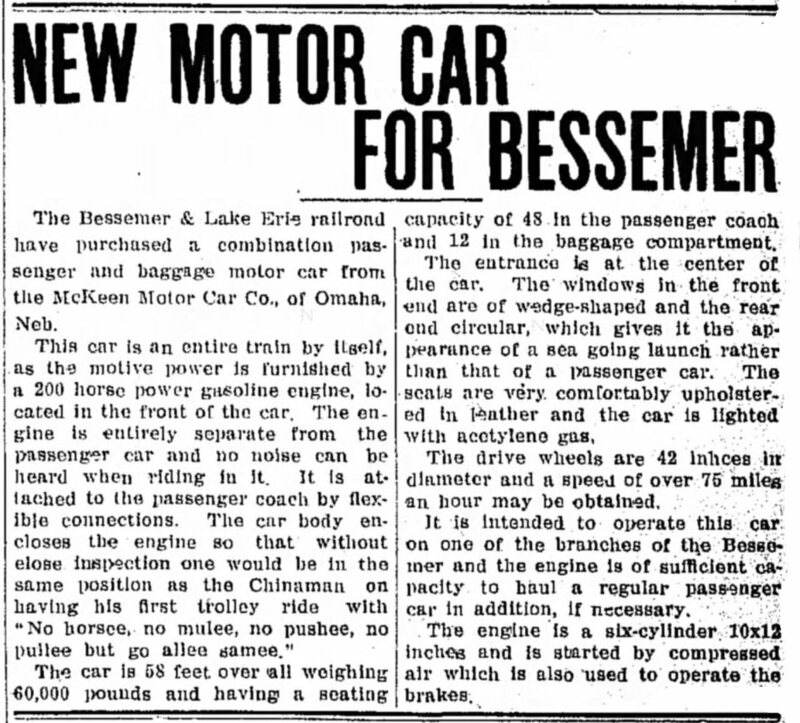 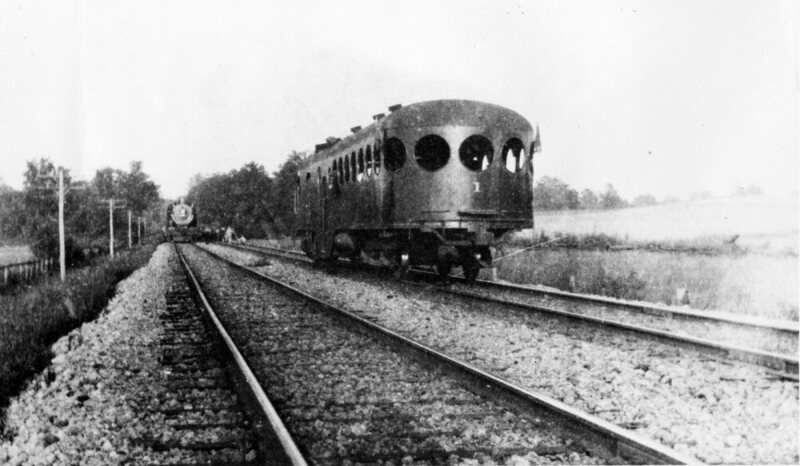 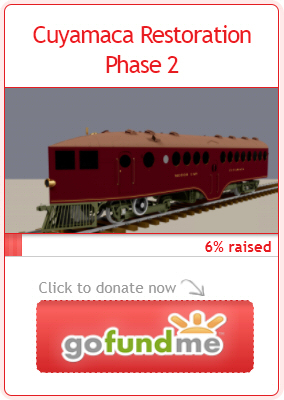 Bessemer and Lake Erie Railroad | The McKeen Motor Car Website Bessemer and Lake Erie Railroad | The Compendium of Knowledge on the McKeen Motor Car Company, and their experiments. 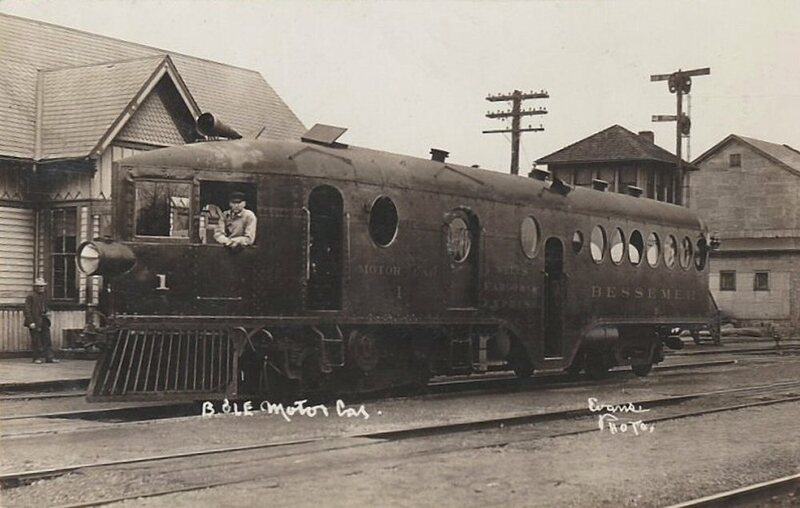 A photo of the Bessemer and Lake Erie McKeen Car #1. 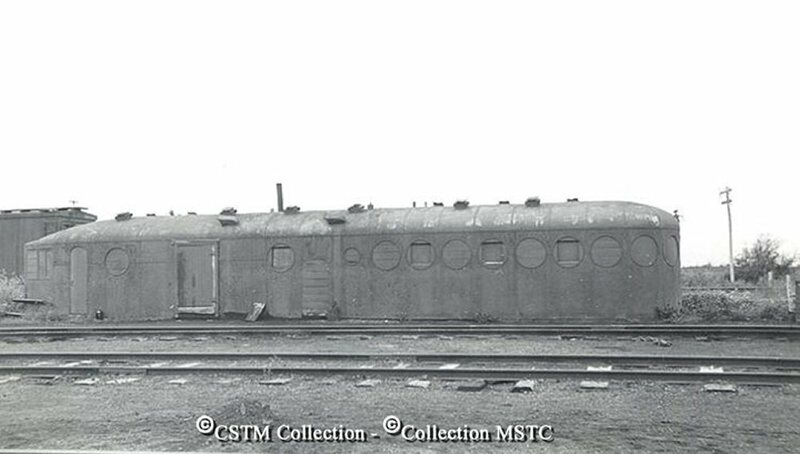 #1 sitting in a yard after being laid aside. 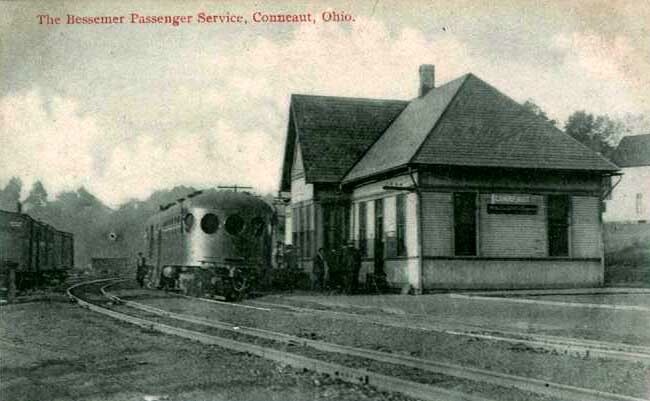 A photo of the Bessemer Car at the Conneaut, Ohio Train Station.